Have you ever wished you could just bake (part of) your levain and eat it, so that you can savor its pure unadulterated flavor? Every time I feed it and breathe in its fragrance I wish I could do just that. But of course I resist the impulse (since it probably wouldn’t turn out too good as is anyway) and I just keep on enjoying the scent. Recently however I have been feeding my liquid levain (not the one I made with Gérard) some high-extraction organic flour from Québec I received as a present and the levain started producing such aromas that the impulse to just bake it became irresistible. That’s when I remembered the pavés au levain we made last spring at SFBI in Didier Rosada‘s Whole Grains workshop. So, yes, you can have your levain and eat it too. And I cannot even begin to describe how delectable the result is. Pure heaven! Didier said hazelnuts and/or fruit can be added to the dough. But I don’t see how it is possible to improve on the flavor. When done, let cool on a wire rack and prepare your taste buds for rapture! 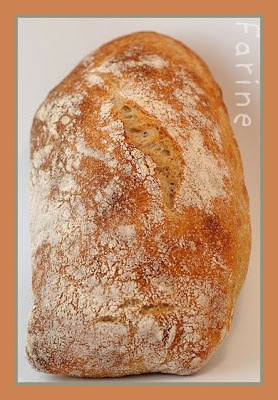 The pavé au levain goes to Susan, from Wild Yeast for Yeastpotting. Gorgeous loaves as always MC. Thanks for the information re:approximation of high extraction flour – I had previously assumed that I needed to use a much higher percentage of WW – which might explain why my loaves seemed much denser than other high extraction breads I've seen. The fragrance of the levain is indeed a wonderful thing. Now my levain is about two months old, it has taken on some straw/hay like aromas. Great stuff!. MC, you know I am going to try this! Maybe an Alsacian biere bread first??? Hard to choose, after the Batard de Gerard! Wow, as always, amazing bread. I always learn so much from your posts! Gorgeous loaves! One question. I was reading the recipe and there is an ingredient I am unfamiliar with. What is eau? Thank you for your kind words, pragmaticattic! Thanks to you too, mimicooks! I am grateful for your pointing out the mysterious word. Whenever I make a recipe, I jot notes down either in English or in French, usually in both and, later, when I copied down the list of ingredients, I didn't notice that I was using the French word for water. Silly me! It is now corrected. … high-extraction organic flour from Québec. Do you have more specific informations about this flour? I think this is the French style T80 flour I'm looking for. oh la la look at this bread! Oh my friend, your bread looks gorgeous! Thanks for the recipe, I will give it a try if I have some free hours during the weekend! I am glad to hear that you are pleased with the Meunerie Milanaise flour. A couple of months ago I was in Montreal and was able to bring back to the US (Washington DC) three 20 kg bags of La Milanaise AP, T70 and T90 flours. I have been making a batard based on the Jean Luc Poujauran Pain de Campagne using a mix of all 3 flours and the results have been fantastic. @Mamatkamal, I hope you try it! As we say in French, "l'essayer, c'est l'adopter" (roughly translated: you try it once, you want it forever). @DonD, from what I understood, not all La Milanaise flours are stone-ground but the T90 is. What about the T70? Do you know? Yes, the T70 Flour is also stone ground. I am amazed at how beautifully open your crumb is. I am also surprised at the light color because the T90 has pretty high extraction rate. Althoug the label on my flour bags show T70(Farine Tamisee #100) and T90 (Farine Tamisee #50), I was also able to get specification sheets from the distributor that indicate that the flours are Type 80 and 110 respectively. I will have to contact the Meunerie Milanaise to ask about the discrepancy. Since using the Milanaise flours I have modified the Poujauran recipe slightly. I re-read his description and he mentions that the dough is " ensemance de levain naturel" which indicates that he uses a stiff levain (a la Rubaud)instead of a liquid one. I am now using 150 gms T55, 200 gms T70, 200 gms T90 w/ 125 gms stiff levain fed with the same flour mix. I will post the results of my experiments with the Milanaise flours on TFL soon. I had a look at Meunerie Milanaise's website and its products description says all of its bread flour is milled from hard spring wheat. We learned that hard spring wheat has higher protein than hard winter wheat and that it is the latter that is suitable for artisan bread, rather than the former. So the flour you used in this bread is hard spring wheat? This is a very interesting subject. 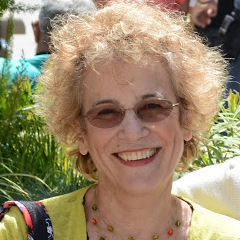 I have contacted the Meunerie Milanaise and got an in depth reply and explanation from its President Robert Beauchemin. In a broad sense, the ash or mineral content is related to the amount of protein or gluten in flour so the gluten level is determined by how much ash is present rather than by the type of wheat. Essentially, he explains that the mineral content and thus the ash content for a particular variety of wheat varies with location, weather and growing conditions and is not a good indication of the quality of the flour. Rather the quality depends on how the flour is processed and sifted to separate or include the amount of epiderm and aleurone layers of the wheat kernel. 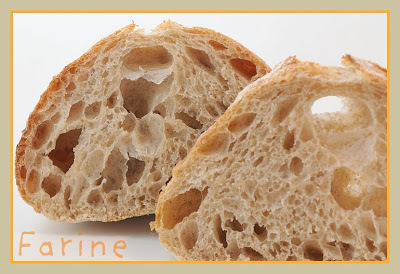 The epiderm is the dark outer layer of the kernel rich in mineral which when ground acts as knife blades damaging the structure of the gluten while the aleurone is the pale inner layer that is also rich in mineral but does not damage the gluten. He believes that the color of the flour is a good indication of the amount and from which part of protective layers of the wheat is included and thus the quality of the flour.Their T90 flour (Sifted Bread Flour #50) has an extraction rate of 81.8% and a protein level of 12.4%. I agree with MC that the flour does not act like a hi-gluten flour. It is very extensible and pruduces a crumb that is soft rather than chewy. If you are interested, I can forward to you their complete supporting document on this subject although it is written in French. Hi, DonD! Thank you for the detailed report. Very interesting information and yes, I would love to see the supporting document. Being French, I will have no problem reading it (hopefully!). My address is banette@gmail.com. Thanks again.